Just a few days left to take advantage of one of our most popular specials! Book an Outdoor Session by July 31st and get a $75.00 studio session added for free! 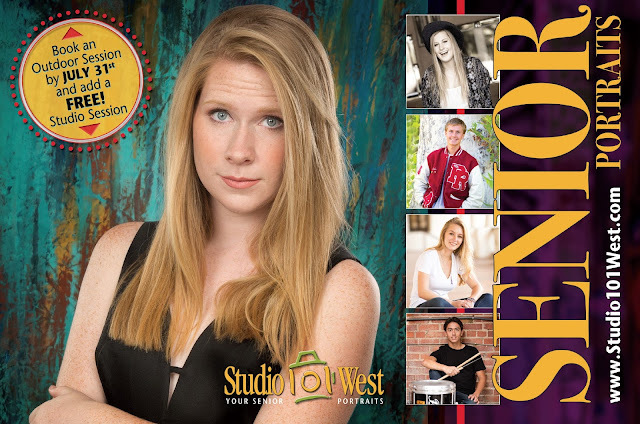 Now's the time to call if you want stunning, unforgettable photos of your 2018 high school senior from THE most established photography studios in the County. We serve all San Luis Obispo County seniors, especially Atascadero High School, Templeton High School and Paso Robles High School seniors. Call now to save your session time or visit our website for more information.